This week’s “SHOUT OUT” goes to El Rey Polo Country Club, Puerto Morelos’s home to one of the top Polo facilities in all of Mexico. Surprise! We bet you didn’t know that you can watch one of the world’s oldest known team sports in our little beach town. Located on the Ruta de Cenotes, just after KM 11, El Rey Polo Country Club is a beautiful facility. Besides having a world-class polo field, they also have exclusive restaurants (open only during events), a wine pavilion (open only for events), a large outdoor pool and the facilities to hold concerts. Holding several matches a year, El Rey Polo Country Club. has one of their biggest events happening on December 8th. It is the 10th Annual Copa del Rey to celebrate their 10th anniversary. The day will begin with a polo match at around noon, followed by a fashion show and finally a concert in the evening. General tickets for the day are 450 pesos and includes entrance to the event, getting to participate in the divot stomp during the polo match, the kids club, participation in the hat contest, access to the fashion show and music festival, plus 2 free drinks. Your ticket also includes a donation to the local DIF, a charity that works on family development. And yes, this is a bit of a fancy affair! Not only is there a hat contest, but there is also a dress code requesting that you wear white. If you want to kick it up a notch, you can buy VIP tickets for 1200 pesos each. In addition to the above, you also get special VIP Access, 2 hours of premium open bar from 2:00 pm to 4:00 pm, special prices and access to the “Cliquot Sky Lounge” plus discounts on food. To purchase your tickets click here. There are a limited number of seats available and the tickets are going fast. If all of this seems a bit too fancy for you, but you would still like to see a polo match in Puerto Morelos, El Rey Polo does hold other events throughout the year. The best way to keep up on these is to follow them on Facebook. 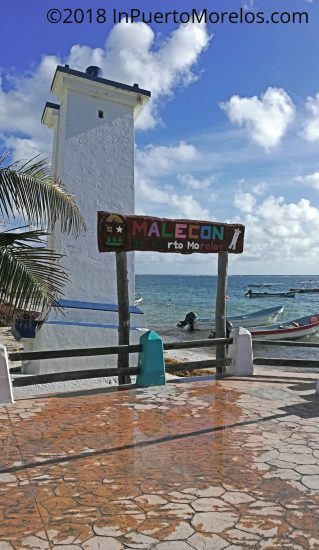 This post is part of our ongoing feature where we will send a SHOUT OUT to one of our local businesses, people or hints that could improve your time In Puerto Morelos. If you would like to be a part of this feature click here to find out how you can join in on the fun! A big Hola from Puerto Morelos! 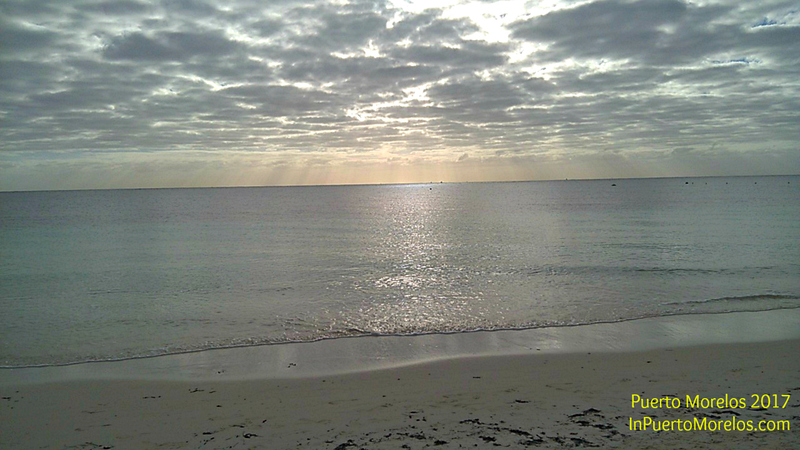 Hope you are doing well wherever you are, and that you are actively planning a trip to Puerto Morelos. If you need accommodations, we still have some space at Casa de los Viajeros. Please see our website for more details & rates. There is lots of news from your town. 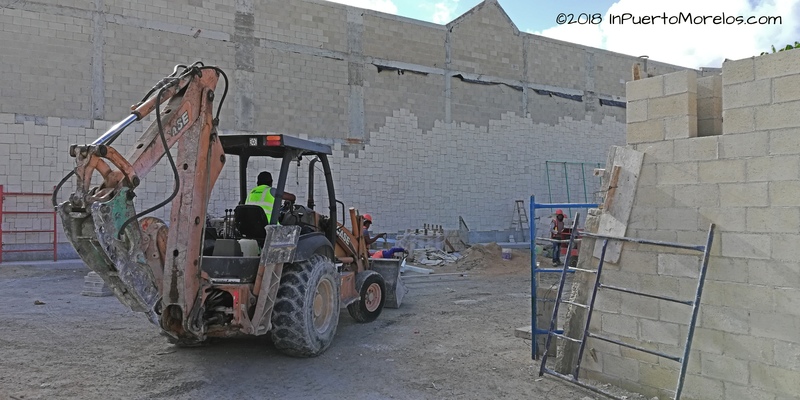 For this post, we’re going to focus on the new Chedraui grocery store that should be open by the end of the year. 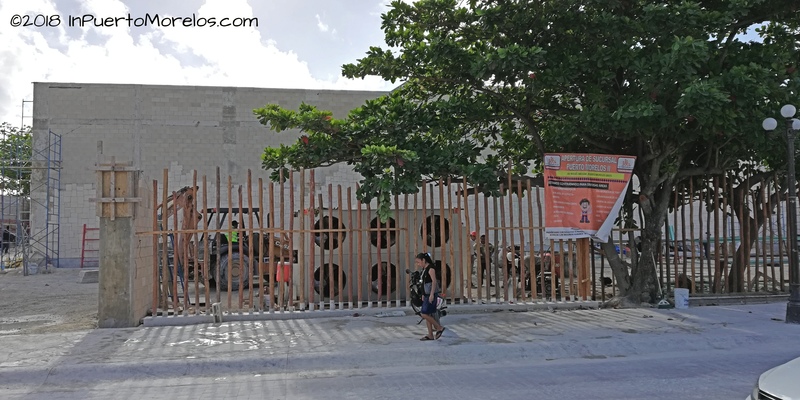 This is a side view from Rojo Gomez and the small parking area. We are told it will handle just 36 cars. This is another view of the parking lot. To the right is the truck entrance. They have one dock to supply the store. It will be tricky to back a truck into, glad it is not my job. This is a view of the store from the other side. 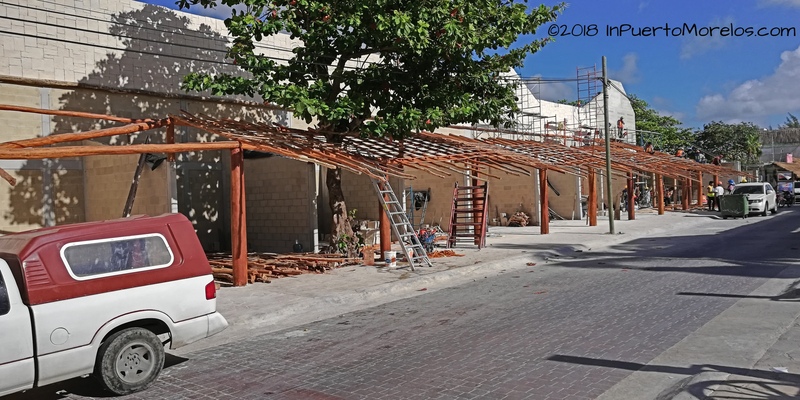 Crews are building palapa roofs for what we assume are going to be small locales, spaces for small businesses. A big crew is working on the palapa. It looks like this will be another entrance on the northeast side of the store, right across from Las Palmeras restaurant. Here’s a very rough drawing of where the new Chedraui will sit. That is the town square at the top of the photo. You can also see Pelicanos and their dock to the right. We have been told that this will be a Chedraui “Select” store, so a little more fancy than the existing Chedraui on the highway. 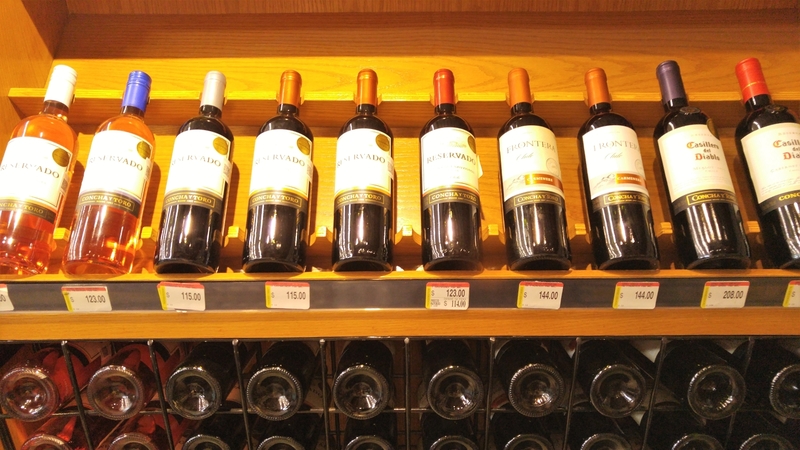 There are Chedraui Select stores already in Cancun, in the Hotel Zone and in Plaza Las Americas. They tend to have more import goods and also have cafes and restaurants inside. I have not been able to confirm any of this. The store is going up very quickly, with a very big crew of workers, working long hours. They hope to be open by the end of November. That might be a bit optimistic, but with a big crew, a lot can be accomplished quickly. 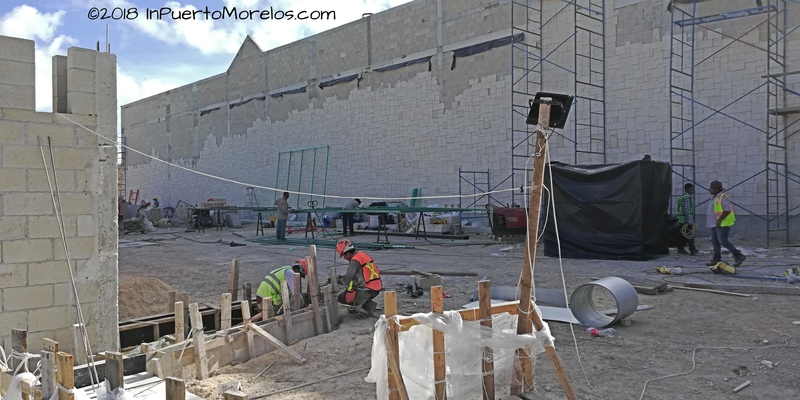 We’ll have more updates from Puerto Morelos coming soon! 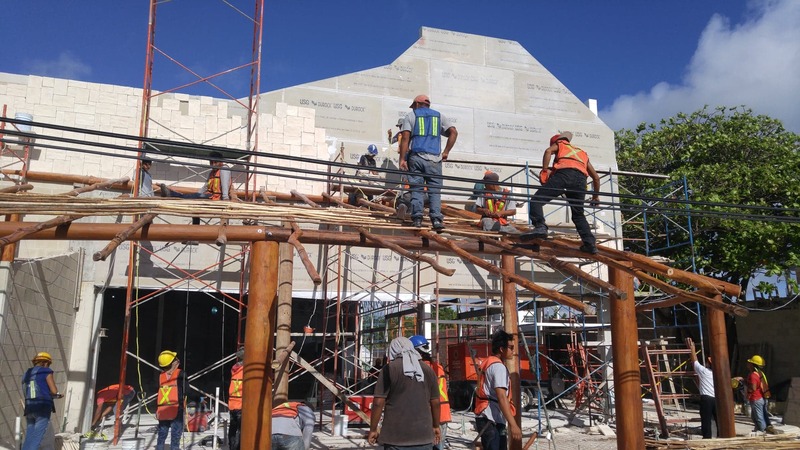 A grande “Hola!” from your favourite Mexican village and the latest news from Puerto Morelos. The busy part of the season is now over, and PM is “downshifting” into our summer season. It’s warm, quiet and uncrowded. A great time of year to be here! Stay with us at Casa de los Viajeros! Check out our very low summer rates! The big news is the continued renovation of the roads in the centre of town. It’s a very ambitious plan to bury all the utilities around the square, finish all the sewer connections and create new, stamped concrete roads & sidewalks. Like any renovation, it has caused some pain and inconvenience. Most businesses around the square bravely stayed open as much as possible, and spent a lot of time dusting and re-cleaning their windows. The work is not completed yet, so traffic is still being diverted and parking is difficult. In the end though, we will have much wider sidewalks for strolling and for the restaurants to use. We’re all looking forward to the work being completed! The Colonia has been undergoing renovations as well. Roads are being paved,and many of the streets are now one-way. There is still a good amount of confusion over what direction traffic is supposed to flow, so be aware if you are driving there. The main roads close to the square are fairly well marked, but others are not. There are also some new, much needed parking restrictions near the square that are being cheerfully ignored so far. 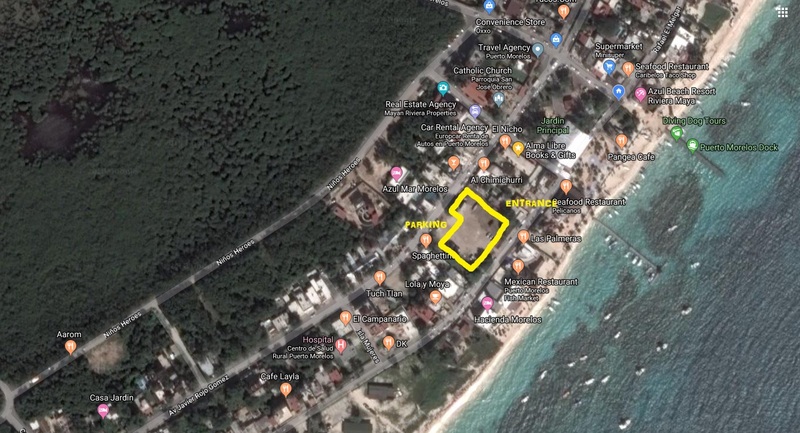 Amazingly, we continue to gain restaurants here in Puerto Morelos! At least four have just opened, or are in the process of opening. Hard to believe as we are just starting our low season! On the same street, closer to the square you will find another new place called “Santa Cecilia”. It’s a small space, formerly occupied by a nail salon. Despite its size, they have made space for live music! They have a good menu of burgers, fries, chicken, coffee and desserts. It just opened, so I have not heard any reviews yet. 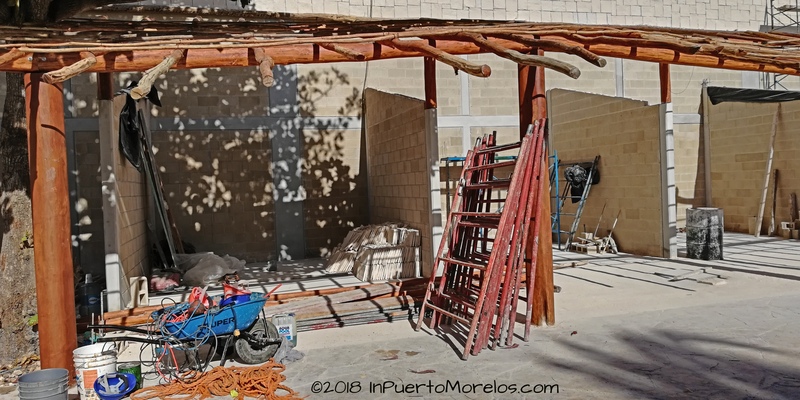 Just before the heavy construction on started south of the square on Rojo Gomez, a small cafe opened right across from the Mayan Handicraft Market in a space that was occupied by La Parilla in 2017. We have not seen the cafe open lately, so we are not sure if they are still there, or they are just keeping a low profile until the road construction stops. We never saw a sign, but we think it is called “Cacao”. We’ll keep an eye on it and report back to you. On a recent neighbourhood stroll, we saw signs going up on the old “Pancho Villa” restaurant site on Niños Héroes. El Sazón Mexicano is already advertising burgers, tortas, gringas and Tacos Al Pastor…which are three of my favourite words EVER, so having this place so close to home may work out nicely. No idea when they are opening, but I would bet soon. We also noticed that folks are renovating the old Don Mexkal location on Rojo Gomez, which Mexkal moved from a couple of months ago. I was thinking that it was yet another new restaurant, but in fact, it will be the new location of an existing one; Panna e Cioccolato. Famous for their gelato and other cool desserts, they will move into the space soon, moving out of their old location on the north side of the square. They tell us they will they will close the current place on May 2 and hope to be open and serving up treats in the new location on May 4. In other big restaurant news, La Sirena finally opened its long awaited rooftop bar. With great views of the lighthouse, the ocean and the centro, it has quickly become the place to be in town. In other La Sirena news, they are now open for breakfast every morning except Tuesday. Hosted by the affable Richard “Rickie Ricardo”, you will find a variety of breakfast treats including Huevos Rancheros, fresh healthy juices made to order, and mimosas. They open for breakfast at 7:30 am. Two local entrepreneurs have teamed up and created something new on Niños Héroes. Jorie, the creative force behind “Finders Keepers PM” and the Saturday Markets has joined forces with Louise who opened the Aarom Cafe and Wellness Centre at the beginning of the season. Together they are “Finding Om”. They have done an amazing job on the place and even created a lovely “quiet space” garden in the back. The shop is full of locally sourced art, gifts, foods and more. The cafe has coffee, juices, smoothies, breakfast bowls, Buddha bowls, and more with all ingredients organic and found locally. The wellness centre has massage, Reiki, and other holistic treatments as well as yoga in private or small group sessions. They are open every weekday except Thursday from 8:00 to 8:00, Saturdays 8:00-3:00, Sundays 9:00-3:00. They promise lots of activities and events, even during the summer months. The city of Cancun is just 48 years old this year. The city’s official founding date was April 20, 1970. It started with just nine hotels, financed by the Mexican government. The city now has 37,300 rooms and an average occupation of 79.8 percent for the end of 2017. It also recorded a record number of tourists, exceeding 5 million last year for the first time with the airport counting 23 million passengers. 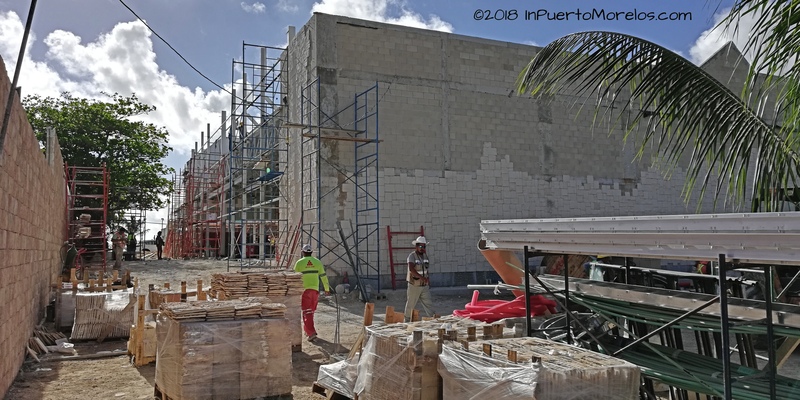 The State Tourism Secretariat is reporting that they will add 8,622 additional rooms between Cancun and Puerto Morelos in the next year. 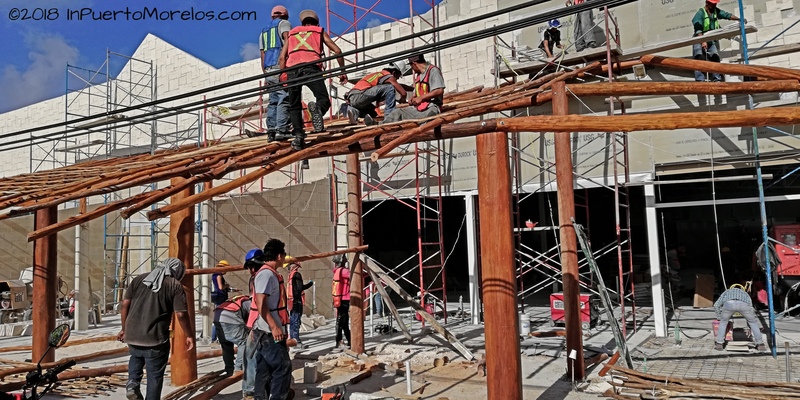 5,155 of those will be built in the Cancun Hotel Zone. The photo above is from 1975 and was taken from the Hyatt Hotel. For all its glamour and party atmosphere, we just think of it as the city with our airport and our Costco. Congratulations to Anne and Allan Elliott who celebrated 50 years of marriage recently in Puerto Morelos. Anne and Allan have been coming to PM for many years and are well known for giving back generously to the community. I think they have also tried every restaurant in town! Felicidades! We have 1 and 2 bedrooms available for you! All our places are large, self-contained and private. 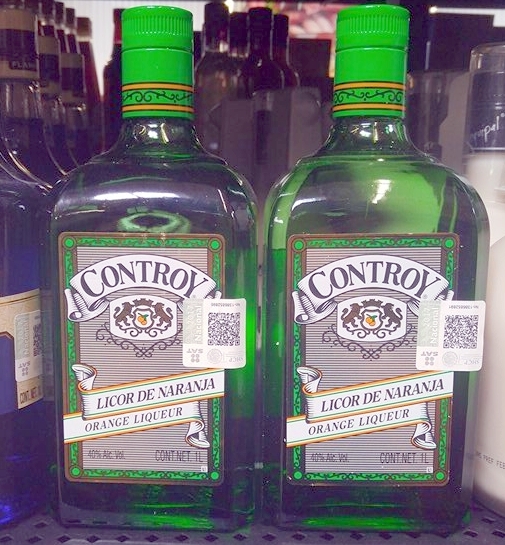 We set out looking at liquor prices in both Cancun and Puerto Morelos thinking there would a big difference in prices between stores. We were surprised by what we found. 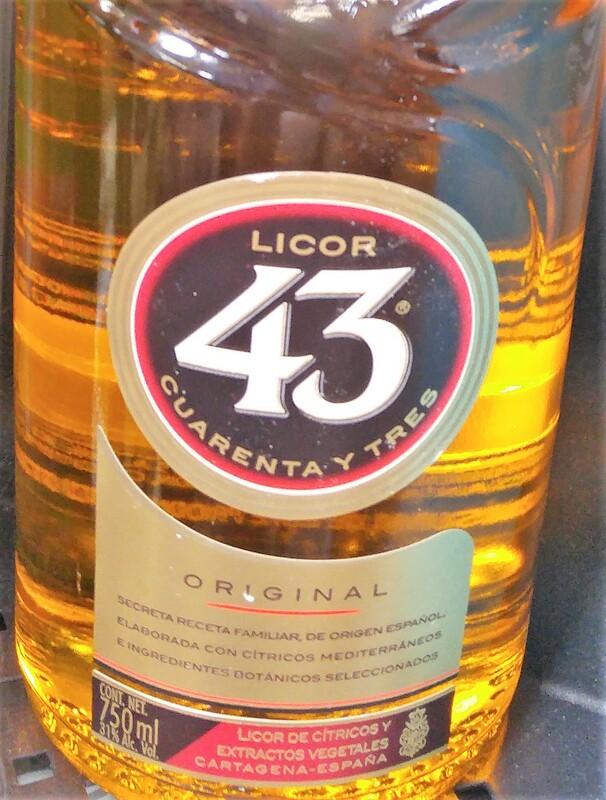 We tried to pick items that were commonly found in most grocery or liquor stores here in Mexico and are the most popular to drink. All prices are in Mexican Pesos. To find out what items cost in your own currency convert here. As you can see Sam’s Club came out as the clear winner as far as best price goes. 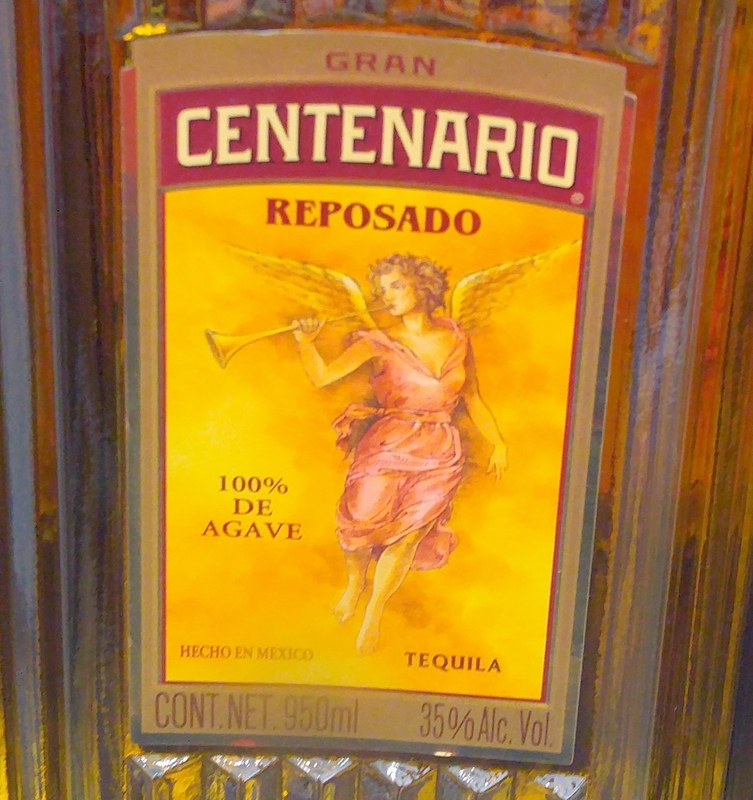 This was surprising to us as we have always shopped at Costco in Cancun for our liquor, thinking it was cheaper. 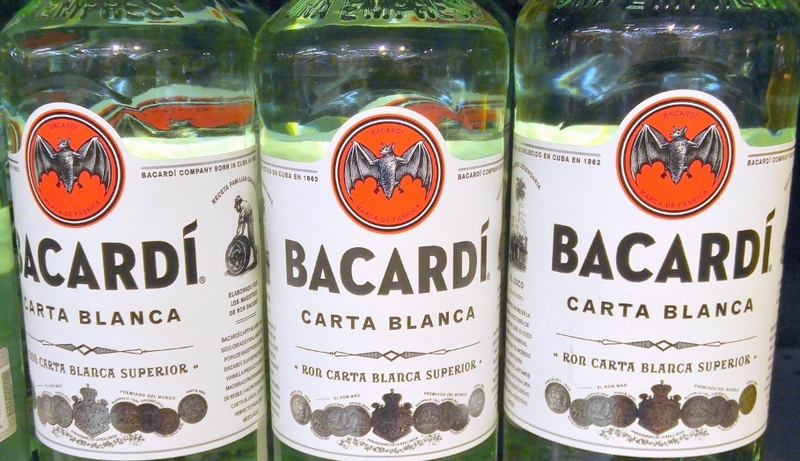 But the question is “Would it be worth it to go all the way to Cancun?” We guess it depends on how long you are staying or more important how much you are drinking. 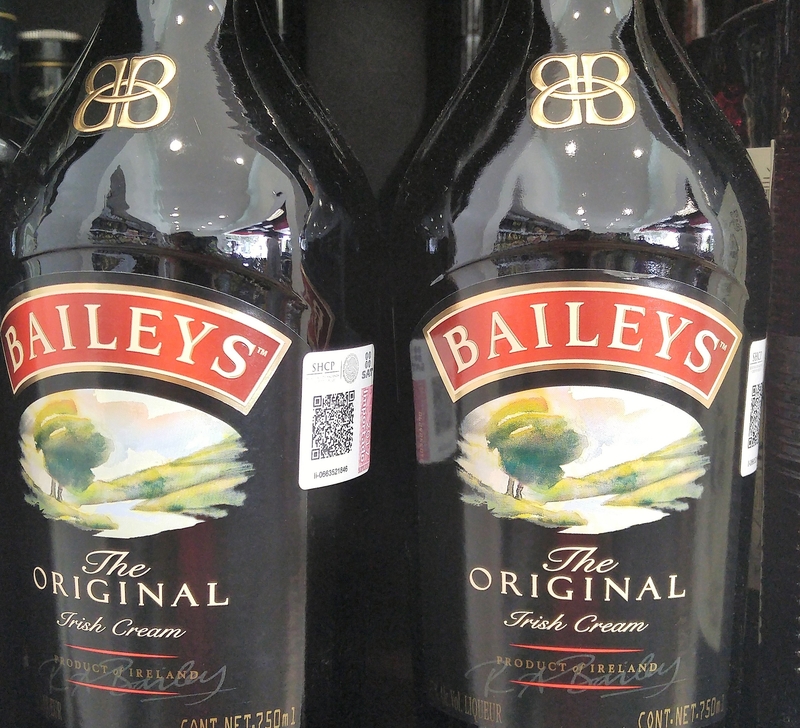 If you are already a Sam’s Club member, and are staying for more than a few weeks, the trip to Cancun may be worth it. Of the local liquor stores the one thing we did notice was the variety of products they carried. Super Aki in the colonia did tend to have low prices generally, but they have a small selection of items. Chedraui had a larger selection, but tended to run out of a lot of the basics because they are a very busy store. Off The Vine, on the port side, also had a few liquors to offer. Their speciality is wine and they are a great place to stop if you are looking for a nice bottle of red, they know their stuff! The real gem was La Europea, which many people may not know about. It is located at the Pemex on Calle Jose Maria Morelos, the road which stretches between the port and the colonia. They are tucked to one side inside the Go Mart. They may not have the cheapest prices, but they consistently have a good selection of items in stock. If you take a trip south in Puerto Morelos, you will find “South Beach”, as the locals call it, an area you may not know. It is a long strip of wide, white sand beach, scattered with shells and strong waves that break on the shore. There are a couple of different ways to get to South Beach. The easiest would be to take a cab to Marina El Cid and then just head straight to the beach and walk south. But if you do this, you will miss out on the sights along the way. We recommend that you either take a bike or walk. If you take a bike, which we recently did, it takes about 30 minutes to get out to the furthest point, Punta Bravo. If you were to walk you are looking at over an hour. The total length of the trip is about 6 km (3.7 miles) each way. If you are biking you can follow this google map, it will get you most of the way there. We have filled in the rest of the missing path. To bike or walk, you take Ninos Heroes as far south as you can, then turn right and then left as the road dead ends. Continue to walk or bike south until you come to a gate/guard house on the road, the guard will wave you past. If you are walking, at this point you want to turn left and take the road on the right side of the cement wall. The road will take you toward the beach where you will see a small path. Take the path to reach the beach. You can stop there and enjoy the beach. or you can head south and walk along the sand to Punta Brava. If you are biking, you continue south at the guard house. To your right you will pass by a natural area that is a great place to see birds in the early morning. But also, keep you eyes open for crocodiles. We recently spotted this guy. You will pass by Hotel El Cid and then you will ride through the middle of the Grand Residences. After this the road quality will go down, but you should still keep going. When you pass the last building, Hotel Los Angeles, the road will end. At this point you can push your bike a few hundred meters to Punta Brava. Chances are you will find yourself alone out on the point with nothing but the sun, sand, shells and surf. So take a picnic lunch, some water, sunscreen, a big floppy hat and enjoy your stay. It’s a great way to spend a day InPuertoMorelos. 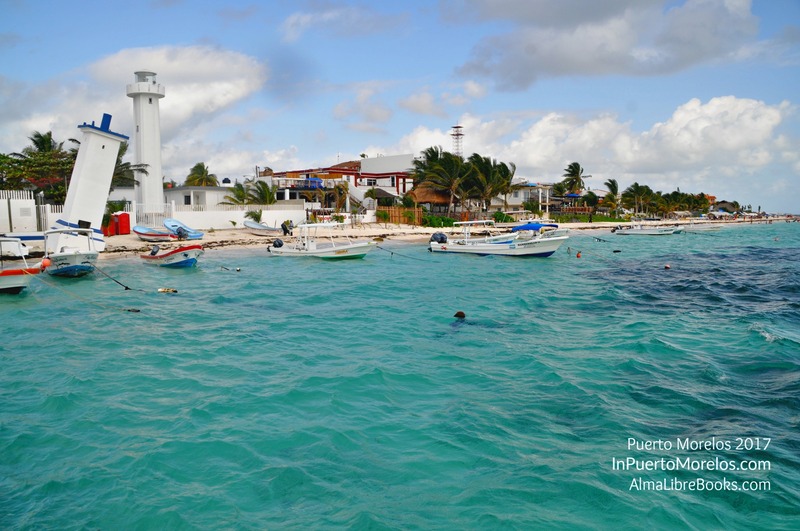 Did you know that besides our famous leaning lighthouse and the new lighthouse beside it, there is a third lighthouse in Puerto Morelos? There is! It’s called Punta Brava and most people have never been there. It may take a bit of a walk or a bike ride to find it, but it is worth the trek. We recently took a bike ride out there…. and at the end of the road, after about 30 minutes…. you will find this! As you venture further south, you will find a beautiful beach that is much different from the beach in the center of town. Once you get past the hotels, there are only a few houses, then nothing but beautiful, white, deep sand! And very few people. 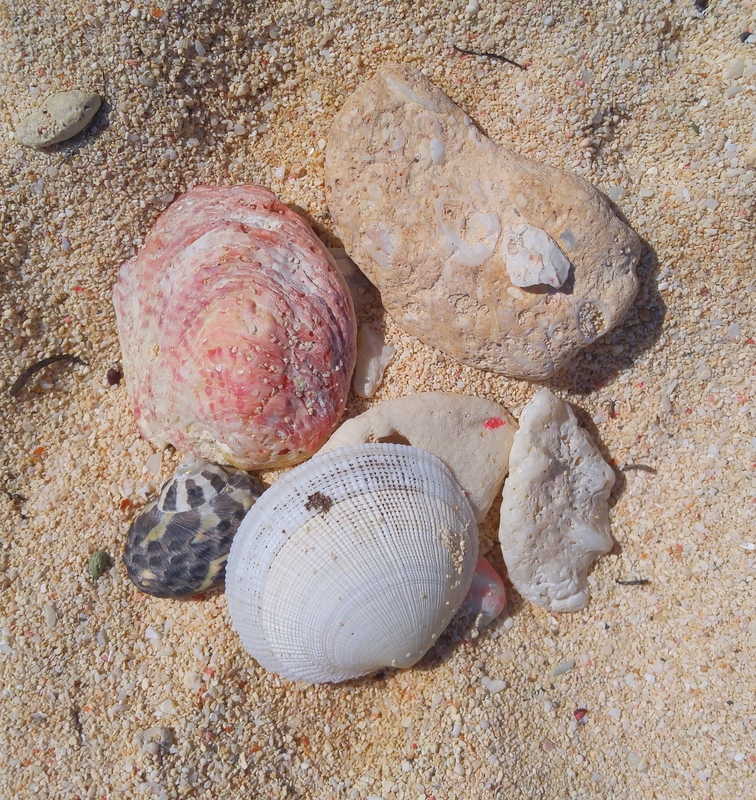 The reef is much further from the shore here, so you will find the beach scattered with shells. The shoreline is a little rocky in places, but it makes for a great place to watch tiny crabs jump in and out of the tide pools. 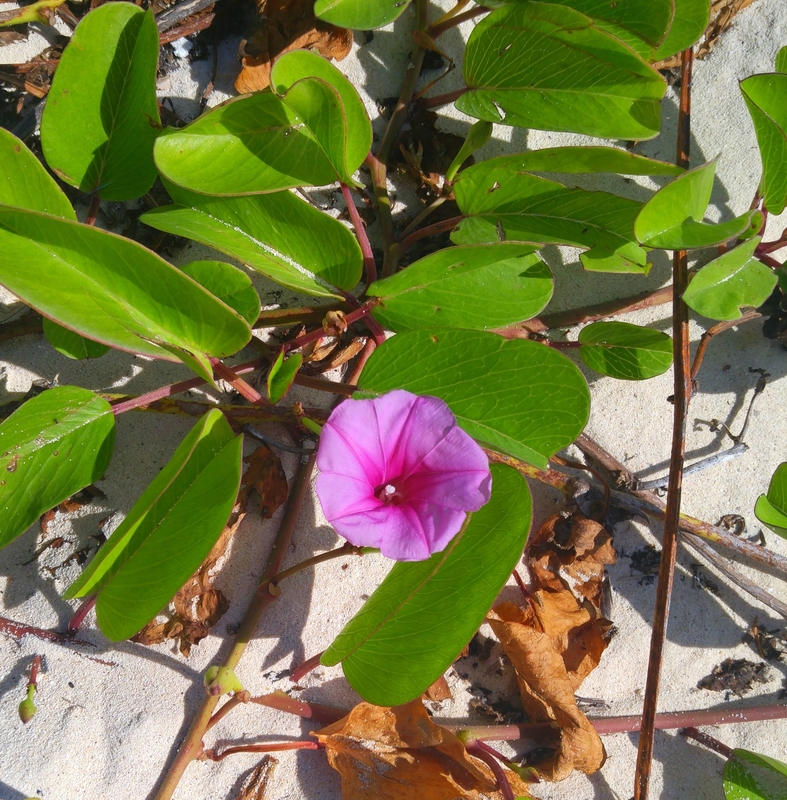 Further up the beach you will find leafy green plants that help keep the sand in place. The plants are dotted with theses pretty purple flowers. 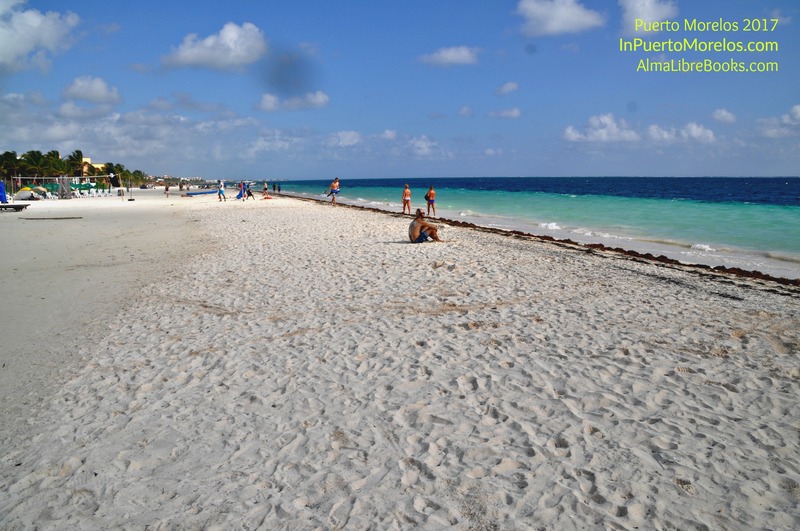 The white sand with the rugged, rocky coastline are a sharp contrast from the tranquil beach in Puerto Morelos. 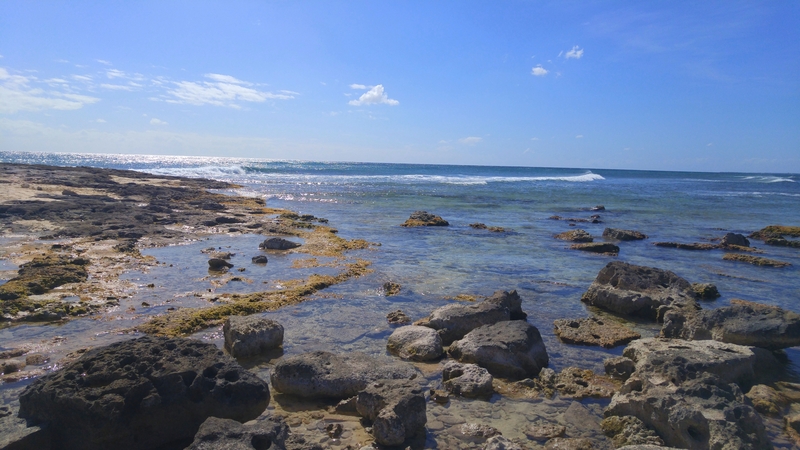 Punta Brava is beautifully natural with the waves crashing against the rocks. 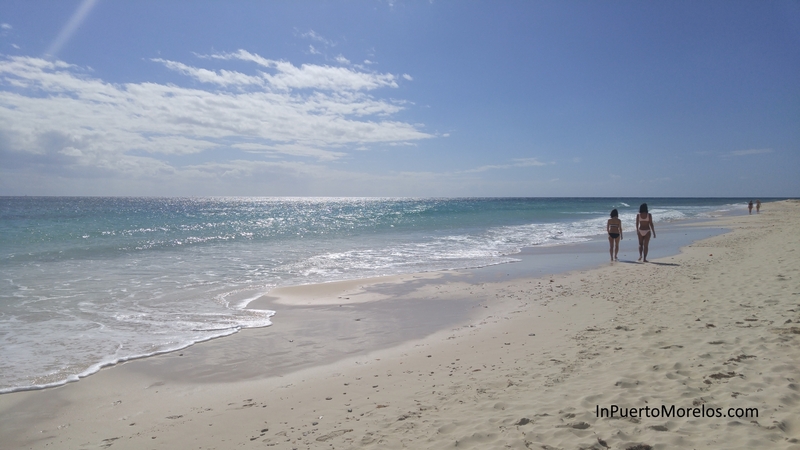 So when you want to get away from the “crowds” of Puerto Morelos, head to Punta Brava. We’ll show you how we get there on our next blog post. Be sure to subscribe to InPuertoMorelos.com so you don’t miss any new news about the town we all love. 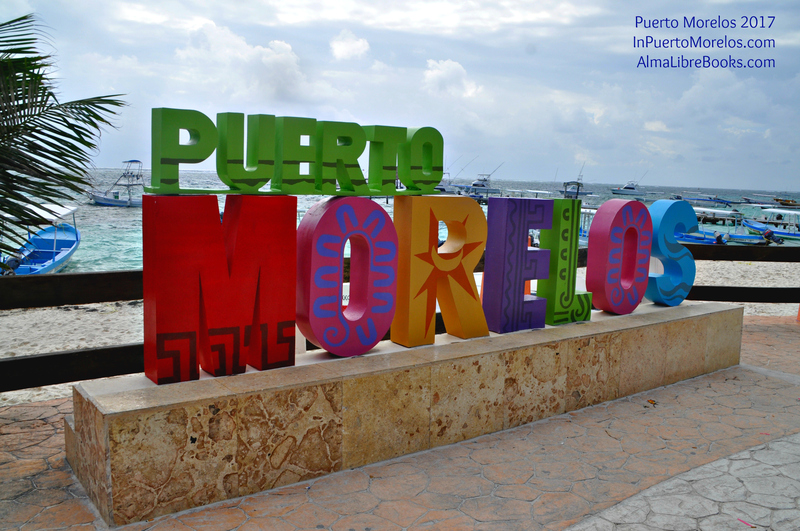 Did you know that Puerto Morelos has been used as a location for many films, TV shows, commercials, and music videos. Everything from Mexican telenovelas to Spanish music videos have been shot here. One of the most recent videos featured American country superstar Dierks Bentley. His follow up song to the hit “I’m Getting Drunk on a Plane”, was titled “Somewhere on a Beach”, and Puerto Morelos played the part of the beach. You will likely recognize Unico and Que Hora Es in the video. And HGTV is no stranger to Puerto Morelos. They have taped many episodes of their popular series House Hunters International as well as Mexico Life here. They featured real estate agents Amber Pierce and Kim Temple. 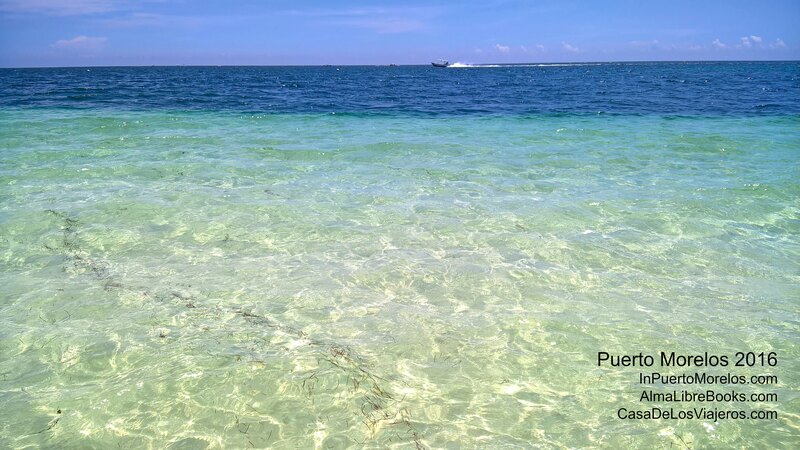 Before the tragic death of their lead singer, Dolores O’Riordan, Irish rock band The Cranberries shot their last album cover here in Puerto Morelos. In this picture you can see our local crew from Mayan Riviera Grip. 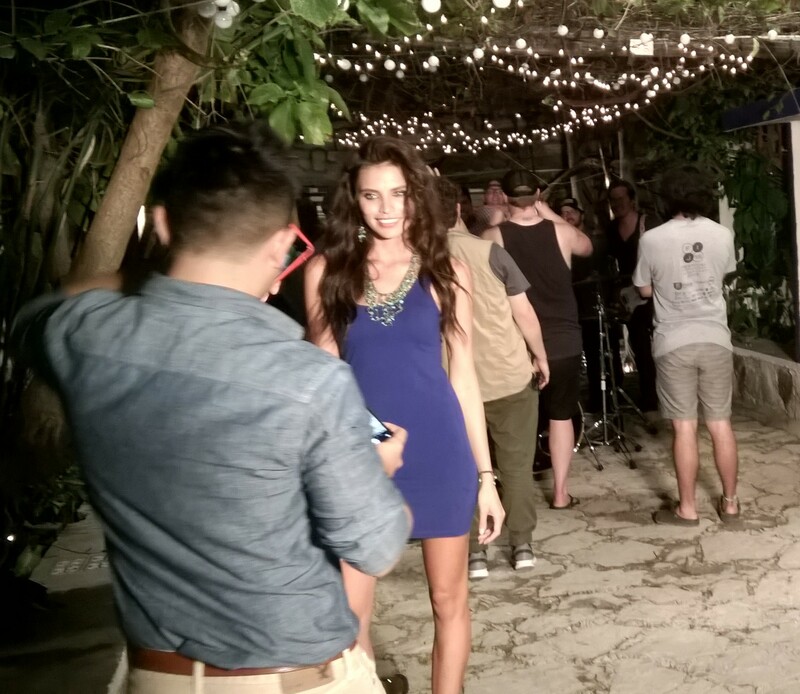 Popular Spanish pop band La Oreja de Van Gogh (Van Gogh’s Ear) did a walkabout around Puerto Morelos and the Ruta de Cenotes for their video featuring the song “Las Noches Que No Mueren” (“The Nights That Do Not Die”). 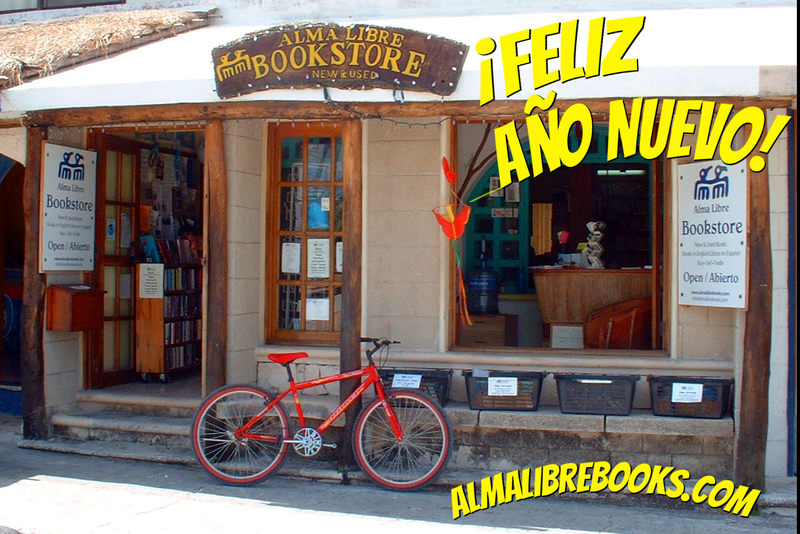 If you don’t blink you will see a quick shot of the iconic Alma Libre Bookstore in the video. And supermodel Heidi Klum created quite a stir when she visited our little fishing village to film a perfume ad. She really did “Shine” when she took over the dock at Pelicanos. Puerto Morelos is such a beautiful and diverse location that we make a great backdrop for filmmakers. These are just a few of the more popular pieces that have been shot on location in Puerto Morelos. Our beautiful little town makes a great location and a great backdrop for your next vacation. Took a bit of a walkabout on New Year’s Day to welcome 2017 to our little corner of the world. 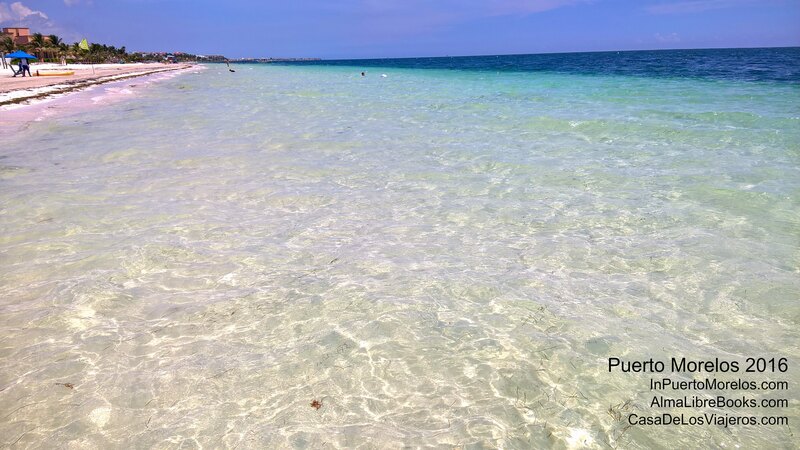 As you can see, even in high season, Puerto Morelos still has loads of room for you! It never feels crowded here. You should be here! 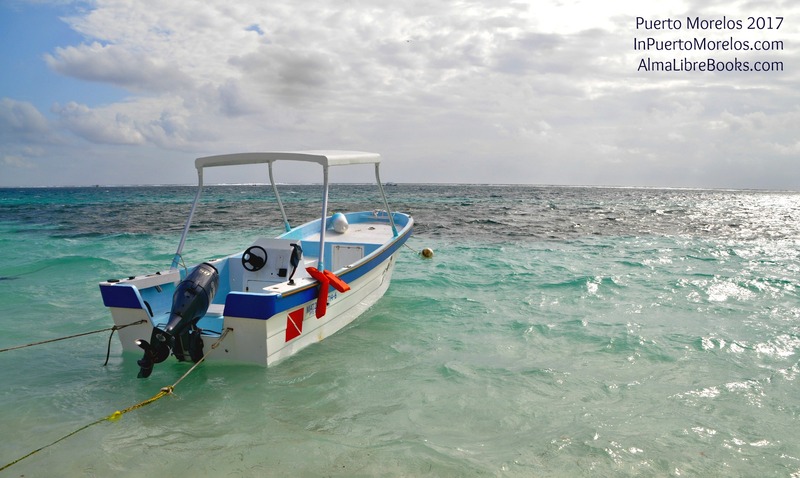 Summer is a great time to visit Puerto Morelos. As you can see, the water is crystal clear and you have the beach all to yourself. Plus rental rates are cheaper in the summer. As you can see here at Casa de los Viajeros. If you’re a scuba diver or like to snorkel, it is an amazing time for this. Hope to see you soon!